Love the colors, very vibrant but not overwhelming. It's an excellent quality rug. Only issue is it bubbles a little from being rolled. Hopefully that will work itself out over time. I really thought I was going to like this rug. The colors and the style of the print were nice, however the edges showed the white under side of the rug making it look really cheap. Way too much money for the quality. "Is 5x7 a "real" size? 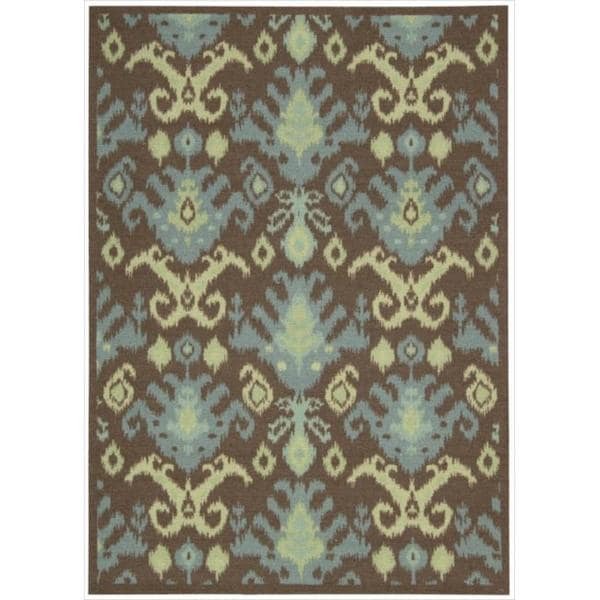 Often rugs are several inches bigger or smaller..."
Hello vtbarb, I'm sorry that is the only size we know for this rug. Thank you for shopping with us!